The history of Montenegro is as long as it is rich, but the independent Montenegro that we know today is very young. Seven years ago on this very day, Montenegro voted on whether or not to preserve the union between Montenegro and Serbia. The two countries, which have a close relationship going back into the medieval era, were unified by the formation of the Kingdom of Serbs, Croats, and Slovenes in 1918 and remained unified even after the collapse of the Socialist Federal Republic of Yugoslavia in 1992. The renewal of Montenegrin statehood, however, had roots as far back as the National Liberation War against the occupying Axis forces of WWII, when, at the Second Session of the Antifascist Council of National Liberation of Yugoslavia held in Jajce, the decision was made reconstitute Yugoslavia as the federation of six equal republics, among which was the Republic of Montenegro. The referendum on Montenegro’s independence was held May 21, 2006. On that day, 86.5% of Montenegro’s more than 620,000 residents went to the polling booths, with 44.5% voting against and 55.5% voting in favor of the referendum, only narrowly passing the 55% threshold set by the European Union for the vote for independence to be internationally recognized. 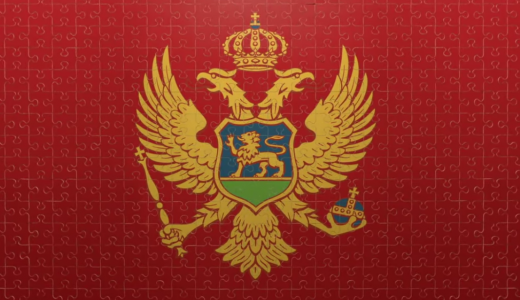 Two weeks later, on June 3, 2006, the Montenegrin Parliament formally declared an independent Montenegrin state—the last of the six republics to split from Serbia.